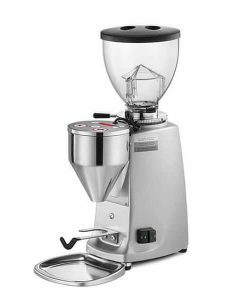 The Eureka Delipro Coffee Grinder is an ideal coffee grinder for high-volume purposes as well as home brewing. 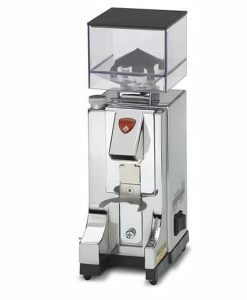 Featuring 85mm grinding blades and a 1.4kg hopper capacity, the grinder can process large volumes of coffee beans all day long. 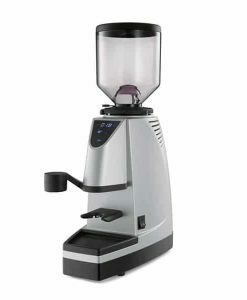 A “deli-style” grinder, its slim body fits ideally in small coffee bar areas, measuring only 184mm across. 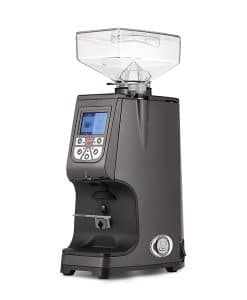 The clear hopper makes it easy to see the coffee bean volume at a glance. 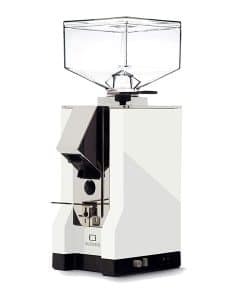 True to Eureka’s repuation, the Delipro’s robust design makes cleaning and maintenance easy and convenient. The body’s classic styling includes attractive, high-gloss chrome knobs. 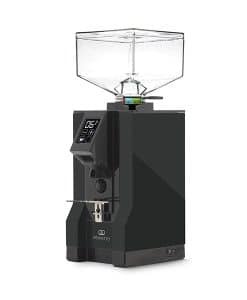 The display features useful grind information, indicating ideal grind size for various brewing methods (French press, mokka, etc.). A manual knob lets the skilled barista adjust the coffee grind size to suit a wide range of brewing styles and coffee bean varieties. 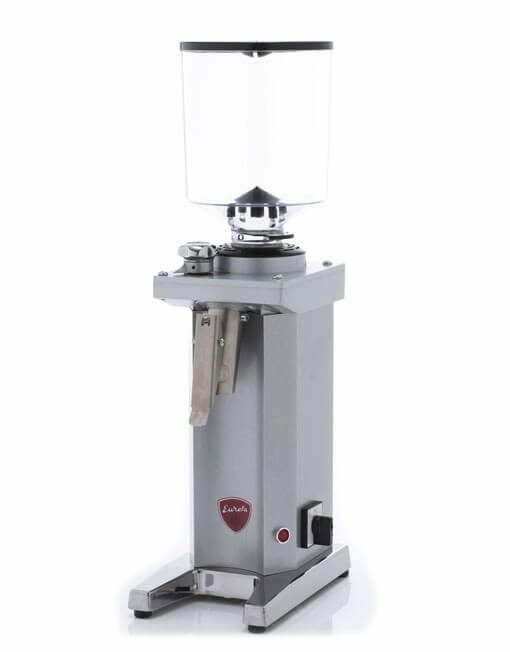 75mm flat grinding blades spin at 1430 rpm, grinding a wide range of coffee finenesses, from superfine grounds for Turkish coffee to thicker grinds for milder brews and different brewing techniques. 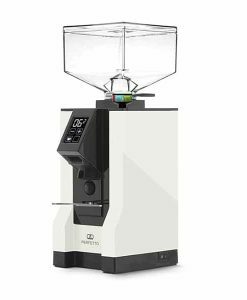 Micrometric stepless adjustment makes it possible for discerning baristas to calibrate the grind level as specifically as needed. 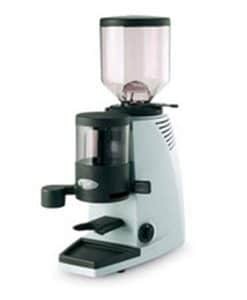 Also known as the “Drogheria”, the Eureka Delipro is in line with Eureka’s established grinder style. 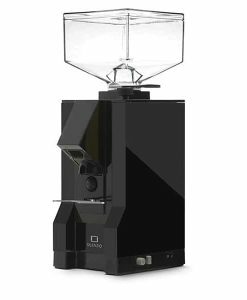 The tall body has clean and simple lines, well-suited to a classic coffee bar environment. The red Eureka emblem, on the front of the machine, contrasts with a silver or black background. Grinding blades diameter: 85 mm. Productivity Speed approx. 25 kg/h. Size (D x W x H): 184 mm x 267 mm x 645 mm.